Nina Kutschera is the kind of person, that one must have seen live. Equipped with an incredible voice the 30 year old, who in means of appearance and epiphany is anything else than normal, stokes her audience together with her band. 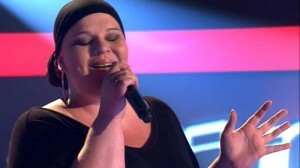 A large television audience got to know her through her appearances in the successful TV show THE VOICE OF GERMANY. Nina has two kids and is in the prime of her life. Nina’s musical world is the world of soul, disco and hip-hop. Even though she can easily sing timeless pop classics, her home is the repertoire of mostly high entertaining black music. As a very special project, Nina Kutschera now has committed herself onto the retro-soul-sound of the 60ies and covers with her own authentic style new and old super hits but also presents her own repertoire. Nina models herself on Aretha Franklin, Alicia Keys, Erykah Badu but also a postmodern Jessy J.